1. Omura M., Saito J., Yamaguchi K. et al. Prospective study on the prevalence of secondary hypertension among hypertensive patients visiting a general outpatient clinic in Japan. Hypertens Res 2004;27(3):193–202. 2. Чихладзе Н. М., Чазова И. Е. Вторичные формы артериальной гипертензии. Кардиология 2011;1(60):5–10. 3. Safian R. D., Textor S. C. Renalarterystenosis. N Engl J Med 2001;344(6):431–42. 4. Töpel I., Zorger N., Steinbauer M. Inflammatory diseases of the aorta: Part 1: Non-infectious aortitis. Gefasschirurgie 2016;21(Suppl 2):80–6. 5. Федеральные клинические рекомендации по оказанию медицинской помощи детям с неспецифическим аортоартериитом. МЗ РФ, 2015. 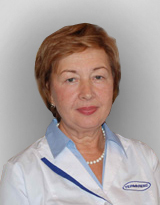 23 c. Доступно по: http://www.pediatr-russia. ru/sites/default/files/file/kr_ao.pdf. 6. Min P. K., Park S., Jung J. H. et al. Endovascular therapy combined with immunosuppressive treatment for occlusive arterial disease in patients with Takayasu’s arteritis. J Endovasc Ther 2005;12(1):28–34. 7. Hata A., Noda M., Moriwaki R., Numano F. Angiographic findings of Takayasu arteritis: new classification. Int J Cardiol 1996;54(Suppl): S155–63. 8. Moriwaki R., Noda M., Yajima M. et al. Clinical manifestations of Takayasu arteritis in India and Japan – new classification of angiographic findings. Angiology 1997;48(5):369–79. 9. Мухин Н. А., Смитиенко И. О., Новиков П. И. Артериит Такаясу: трудности диагностики, лечение и исходы в когортном исследовании у 128 больных. Клиническая фармакология и терапия 2014;23(3):55–61. 10. Vanoli M., Bacchiani G., Origgi L., Scorza R. Takayasu’s arteritis: a changing disease. J Nephrol 2001;14(6):497–505. 11. Qi Y., Yang L., Zhang H. et al. The presentation and management of hypertension in a large cohort of Takayasu arteritis. Clin Rheumatol 2017. DOI: 10.1007/s10067‑017‑3947‑4. 12. Park M. C., Lee S. W., Park Y. B. et al. Clinical characteristics and outcomes of Takayasu’s arteritis: analysis of 108 patients using standardized criteria for diagnosis, activity assessment, and angiographic classification. Scand J Rheumatol 2005;34(4):284–92. 13. Wen D., Du X., Ma C. S. Takayasu arteritis: diagnosis, treatment and prognosis. Int Rev Immunol 2012;31: 462–73. 14. Ishihara T., Haraguchi G., Tezuka D. et al. Diagnosis and assessment of Takayasu arteritis by multiple biomarkers. Circ J 2013;77(2):477–83. 15. Dagna L., Salvo F., Tiraboschi M. et al. Pentraxin-3 as a marker of disease activity in Takayasu arteritis. Ann Intern Med 2011;155(7):425–33. 16. Karageorgaki Z. T., Bertsias G. K., Mavragani C. P. et al. Takayasu features in Greece. Clin Exp Rheumotol 2009;27(1):833–9. 17. Halefoglu A. M. Yakut S. Role of magnetic resonance imaging in the early diagnosis of Takayasu arteritis. Australas Radiol 2005;49:377–81. 18. Duftner C., Dejaco C., Sepriano A. et al. Imaging in diagnosis, outcome prediction and monitoring of large vessel vasculitis: a systematic literature review and metaanalysis informing the EULAR recommendations. RMD Open 2018;4(1):e000612. DOI: 10.1136/rmdopen-2017-000612. 19. Direskeneli H., Aydin S., Merkel P. Assessment of disease activity and progression in Takayasu’s arteritis. Clin Exp Rheumatol 2011;29 (1 Suppl 64):S86–91. 20. Slart RHJA, Writing group, Reviewer group et al. FDG-PET/CT (A) imaging in large vessel vasculitis and polymyalgia rheumatica: joint procedural recommendation of the EANM, SNMMI, and the PET Interest Group (PIG), and endorsed by the ASNC. Eur J Nucl Med Mol Imaging. 2018;45(7):1250–69. DOI: 10.1007/s00259‑018‑3973‑8. 21. EULAR recommendations for the use of imaging in large vessel vasculitis in clinical practice. Аnn Rheum Dis 2018. PII: annrheumdis-2017–212649. DOI: 10.1136/annrheumdis-2017-212649. 22. Fields C. E., Bower T. C., Cooper L. T. et al. Takayasu’s arteritis: operative results and influence of disease activity. J Vasc Surg. 2006;43(1):64–71. 23. Saadoun D., Lambert M., Mirault T. et al. Retrospective analysis of surgery versus endovascular intervention in Takayasu arteritis: a multicenter experience. Circulation 2012;125(6):813–9. 24. Российские клинические рекомендации. Ревматология. Под ред. Е. Л. Насонова. М.: ГЭОТАР-Медиа, 2017. 464 c.
25. Новиков П. И., Смитиенко И. О., Моисеев С. В. Эффективность продолжительного лечения ингибиторами фактора некроза опухоли-α при артериите Такаясу, рефрактерном к стандартной иммуносупрессивной терапии. Клиническая фармакология и терапия 2013;22(2):44–8. 26. Gudbrandsson B., Molberg О., Palm О. TNF inhibitors appear to inhibit disease progression and improve outcome in Takayasu arteritis; an observational, population-based time trend study. Arthritis Res Ther 2017;19(1):99. DOI: 10.1186/s13075‑017‑1316-y. PMID: 28521841. 27. Kong X., Zhang X., Lv P. et al. Treatment of Takayasu arteritis with the IL-6R antibody tocilizumab vs. cyclophosphamide. Int J Cardiol 2018. PII: S0167– 5273(17)35894–1. DOI: 10.1016/j.ijcard.2017.12.066. 28. Nakaoka Y., Isobe M., Takei S. Efficacy and safety of tocilizumab in patients with refractory Takayasu arteritis: results from a randomised, double-blind, placebocontrolled, phase 3 trial in Japan (the TAKT study). Ann Rheum Dis 2018;77(3):348–54. DOI: 10.1136/annrheumdis-2017-211878.